Spicgem Ltd t/a Roseview Windows was incorporated on 20th January 1977, and started trading as a small fabricator and installer. Today we’re the UK’s leading sash window manufacturer – a multi-million pound, nationwide fabricator and one of our industry’s leading names. In other words, we’ve come a long way in 40 years! 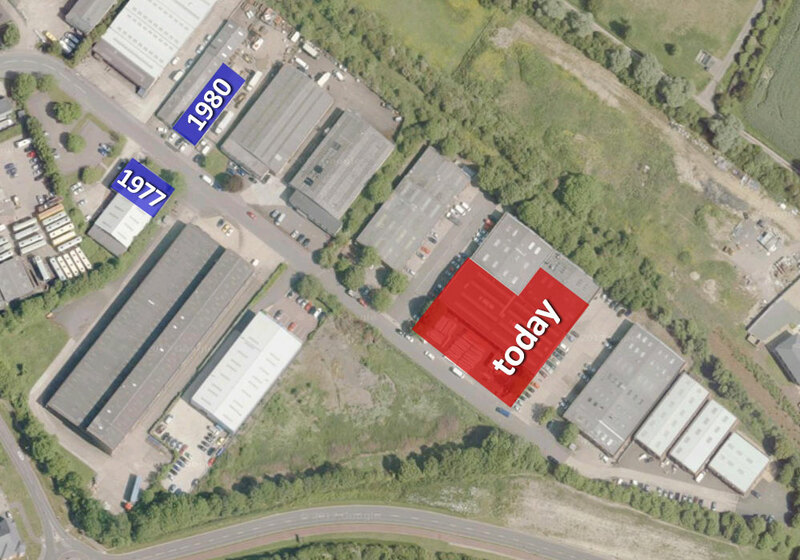 In 1977 Roseview was formed, with a handful of people operating from a small factory unit about 50 yards from our current location in Olney. At first we manufactured and installed aluminium windows and doors. However, the late ’70s marked the start of uPVC as a mainstream window material, and it didn’t take us long to realise its potential. 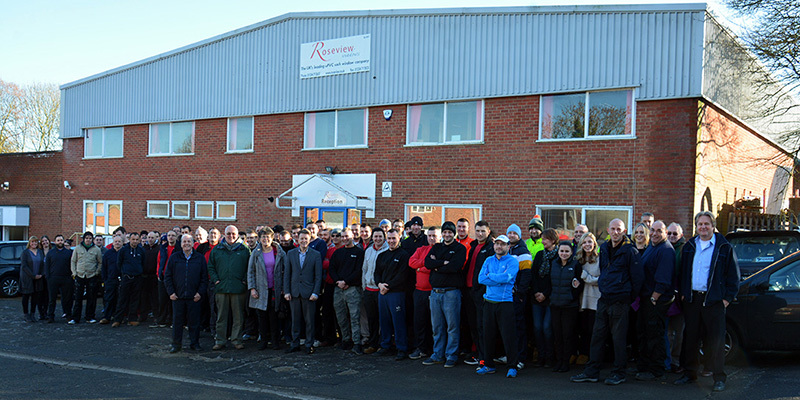 Within three years we were fabricating early Rehau casements and doors, and had taken on a second, bigger factory on the same industrial estate. As the popularity of replacement uPVC windows grew, we thrived. As well as making windows and doors for us to fit, we started fabricating for other installers too. In fact, before long we were making more products for other people than for ourselves, and our emphasis shifted from being primarily an installer to being a fabricator. We’d already stopped doing aluminium when, one day in 1985, our Rehau rep came to us with a new product they were developing. In partnership with the Peabody Trust in London Rehau were designing and developing a revolutionary new window – a true sash window made from uPVC – to be used as a replacement in all of the Peabody Trust’s housing stock in London. Rehau needed a fabricator on board as well, so they came to Roseview. We loved the product and immediately saw its potential, so we jumped at the chance to manufacture it. As a result, in 1985 Roseview become the first fabricator in the UK (and therefore the world) to manufacture uPVC sash windows. 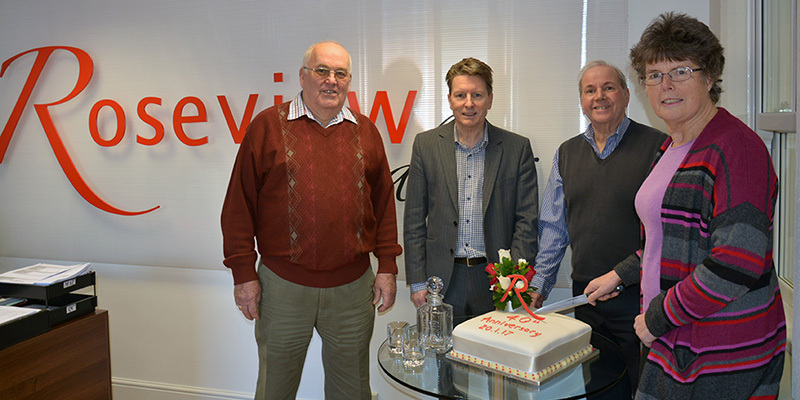 And three years later that Rehau rep – Willie Kerr – joined Roseview as Technical Manager. He’s now our MD. Since then Roseview has gone from strength to strength. In 1996 we moved to a much bigger factory (where we are now), and then a few years later we took on a second uPVC sash window system. Initially we used LB Sheerframe (if you’ve been to Alton Towers you’ll have seen a lot of Roseview Sheerframe sash windows – they were used throughout), and then in 2004 we switched to Plastmo (now Eurocell). In 2007 our original owner Lindsay decided that it was time to retire. She sold the business to our current Chairman (Steve Bygrave) and MD (Willie Kerr), who took Roseview forward with renewed vigour. We’ve launched the Rose Collection – our own suite of three uPVC sash windows – won G Awards, taken on extra factory units to cope with demand, and grown into a multi-million pound fabricator with more than 80 staff. From small beginnings we’ve grown into one of our industry’s leading names – a name associated with sash windows. So, overall, not too bad! To mark Roseview’s 40th anniversary on January 20th we arranged a little surprise for our original owners, Lindsay and Fred, here at Roseview’s base. Without giving away what was going on, we invited them to come in for a quick catch up. While here they took a tour of our factories and saw just how much things have changed. They couldn’t believe just how much bigger and more involved the operation is nowadays – and how expensive some of the machinery is! After a photo opportunity with the whole Roseview staff, our Chairman and MD presented them with an engraved crystal decanter and glasses, to celebrate the 40th anniversary. Without Lindsay and Fred starting Roseview 40 years ago we wouldn’t be here today, so we have a lot to thank them for. The celebration was then topped off with a special locally-made anniversary cake. On occasions like this, there has to be cake! While our anniversary may have been last Friday, we’re not stopping the celebrations there – there’ll be things going on throughout the year. A lot of the focus will be on the FIT Show in May (stand M20 – come and see us!) but there’ll be competitions and some surprises throughout the year as well. Keep you eye on our Twitter feed (@RoseviewWindows), the Roseview blog and our customer newsletters for more information. Finally, we’d like to take this opportunity to thank all the people who have helped make Roseview such a success over the last 40 years. 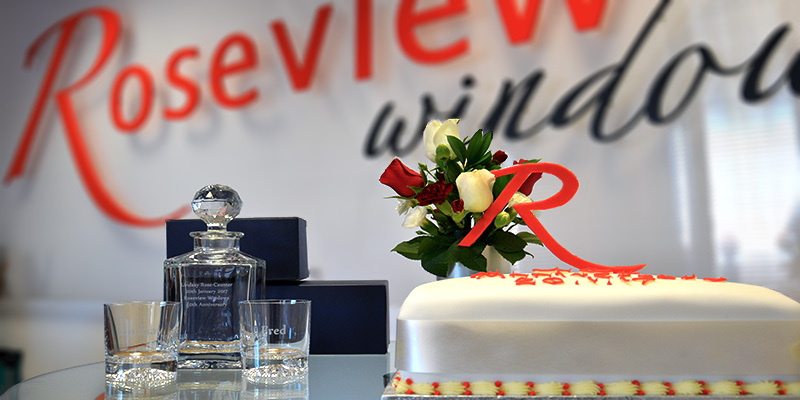 To all our staff, customers, suppliers and friends – past and present – thank you, from all of us here at Roseview. Hi. I am David Milton. I was Factory Manager for a short while in 1984-5. I enjoyed working with Lindsay and Fred. There were about 5 in the factory work force then. We were making Secondary glazing and thermal break windows and I was there at the very start of UPVC window making. I now live in South Australia and have my own business in cabinet making.in Pooginagoric, Bordertown, South Australia. All the best for your 40th Anniversary, and please send my regards to Lindsay and Fred.